February 17, 2016 - What Questions Should You Ask About Long-Term Care Insurance? 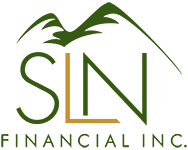 | SLN Financial, Inc. Long-term care insurance is complex, and there’s no way to predict with certainty whether you will actually end up needing coverage for expensive care later in life. However, the odds are good that you may one day need some type of long-term care; one study found that 70% of Americans age 65 and older will need nursing home care or assistance with activities of daily living as they age. Nursing home or custodial care. Assistance with activities of daily living like eating, bathing, dressing, and using the bathroom. Delivered meals or homemaker services to help you stay in your home longer. According to another study, people needed an average of three years of long-term care. 40% of older adults will need nursing home care at some point. Given that nursing homes cost an average of $91,250 in 2015, the potential for expensive care must be factored into your overall financial strategies to avoid running out of money in retirement. How much is the daily benefit and how long is the benefit period? What is the trigger for benefits and how long is the waiting period before benefits kick in? What services are included and what are explicitly excluded? How will benefits increase over time to keep up with rising costs? How much will premiums increase over time? Long-term care insurance is complicated and can get expensive when options are added. We strongly recommend consulting a financial professional who understands your personal financial situation and can help you evaluate your options before making such an important purchase. LTC insurance is not right for everyone; however, the right policy can potentially be very helpful if someone requires expensive care later in life.